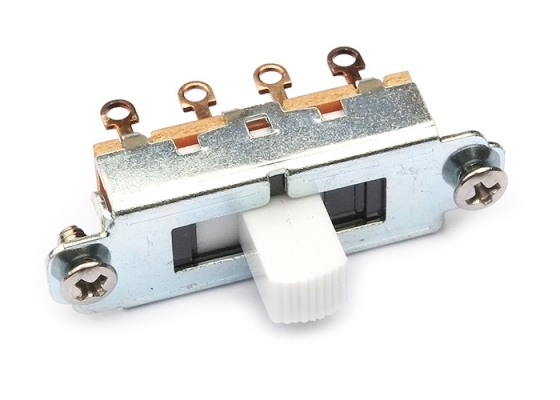 3 position slide switch with white tip by Switchcraft®. Double-pole/triple-throw(DP3T) configuration that can be wired up as on/on/on or on/off/on. Screws included.